Student Achievement. In education, and my role, these two words pack quite a punch. They're the focus of my work as an Instructional Coach and ultimately how I will be evaluated. Student achievement is a complex idea that includes the areas of academics, essential life skills, and community responsibilities. The past three days I've been in two separate workshops with Steve Barkley, both of which related to Teacher Leadership. 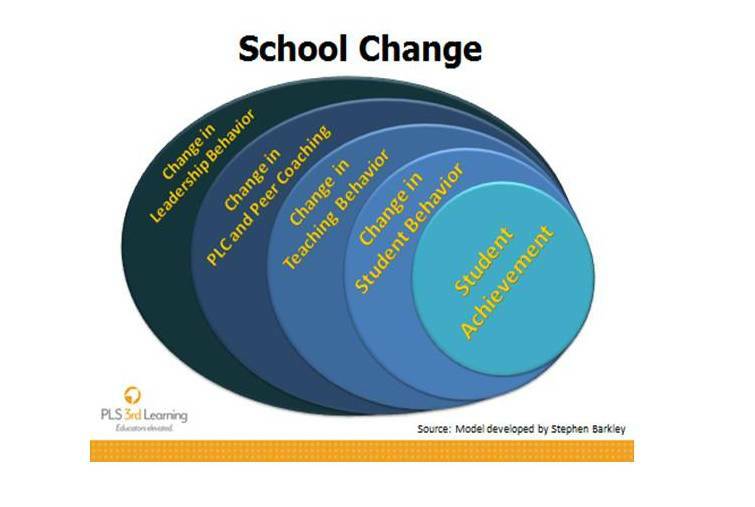 During the workshops, Barkley stressed the importance of defining student achievement and through backwards planning, identifying what changes your system will make, and steps it will take, to achieve these goals. While I have my own definition of student achievement, one activity I would like to do at the beginning of the coming school year is sit with my building's teachers and together come up with a collective definition of student achievement. Having this definition, along with our CSIP (Comprehensive School Improvement Plan), will guide our decision making, and my work with teachers. How would you and your PLC (or system) define student achievement? "What does the standard say?" "What do I want students to be able to do?" "How will students demonstrate their understanding of a concept or skill?" When I'm planning a model lesson, facilitating professional learning, participating in a data team, collaborating on lesson planning or writing curriculum, the three questions above are at the forefront of my mind. It can be easy to get swept up by the latest technology tool, instructional strategy or practice being shared online or in professional journals, but I never want an activity or app to trump the learning. This doesn't mean I never try anything new, in fact that's far from the case! I'm always on the lookout for innovative practices and resources, but wait to implement something until it has a direct tie to what I'm teaching and will allow students to learn and/or demonstrate their understanding in a way they could not do without it. I want to take advantage of every minute students or teachers spend learning, and don't want to put the cart (tech or activity) before the horse (learning). I look forward to continuing to be learning focused, and with to my PLN and social media will continue adding to my bookmarks and instructional toolbox that will serve a purpose and when appropriate, use them with my learners.